Ten-year-old Justin thinks housework is for women, until he's invited to his grandfather's ranch. 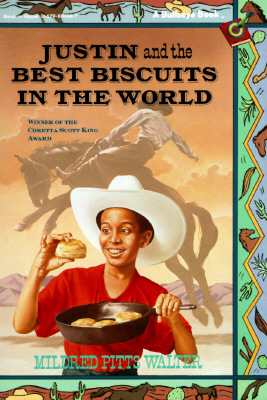 There, along with fishing, riding, and going to the rodeo, Justin learns about his black cowboy ancestors and that doing "women's work"--even baking prize-winning biscuits--is part of taking care of himself. Reading level: 2.7.